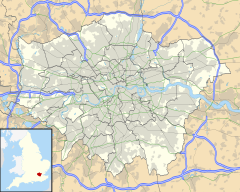 West Acton is a place in west London, England. It is part of Acton, in the London Borough of Ealing. This London-related article is a stub. You can help Wikipedia by expanding it. This London location article is a stub. You can help Wikipedia by expanding it. This page was last edited on 31 July 2018, at 19:52 (UTC).